Swatch Group Ltd. will own the jewelry and watch company, as well as the manufacturing facility in Geneva. Now the number of employees worldwide totals 535 people. Under the contract the company Swatch Group must pay the current owner of $ 750 million and assume debt mark of $ 250 million The deal does not include the mining division of Harry Winston Diamond Corporation (TSX: HW, NYSE: HWD), which will be renamed Dominion Diamond Corporation (Toronto, Canada). The head of Harry Winston Diamond Corporation Robert A. Gannicott expressed his opinion on the transaction: "Now Harry Winston has a new home that will provide it with the necessary support to realize its true potential." According to Chairman of Swatch Group Ltd., Nayla Hayek, “Harry Winston brilliantly complements the segment of prestigious watches. 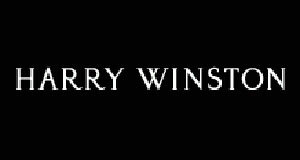 We are very pleased to accept the company Harry Winston into the family of Swatch Group, after all diamonds - still the best friends of women."